"REINSAct.com: Congress Must Do Its Job"
UPDATE 1/14/18: Senator Rand Paul has introduced the REINS Act! President Trump wants this bill on his desk, let's make sure it gets there. President Trump wants to sign the REINS Act into law. The Regulations from the Executive in Need of Scrutiny (REINS) Act is simple legislation to end a longstanding dereliction of duty by our elected officials in Congress: passing broad, vague laws that turn the power to make the country's important policy decisions over to unelected bureaucrats. 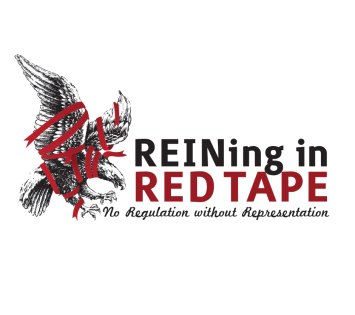 The REINS Act would simply require that all economically significant regulations go through the constitutionally prescribed process for passing laws: approval by the House and Senate, and a presidential signature or veto override. Sign the petition and Tell Congress: "Don't outsource your job to bureaucrats! Promise to VOTE on major economic policies by supporting the REINS Act!"